Yakiniku, which literally translates to grilled meat , is used to refer to Japanese barbecue. 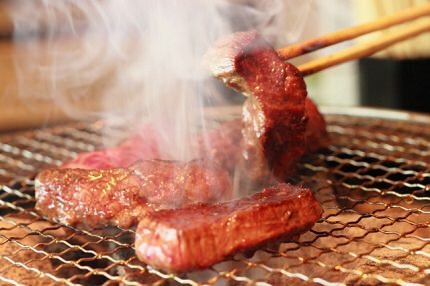 During yakiniku, you grill different kinds of meat in front of you on the grill that is built into the table. 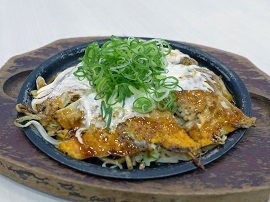 In shichirin-yaki, you use a different kind of grill called shichirin which is a portable, Japanese grill using coal, which gives the meat a distinctive taste. 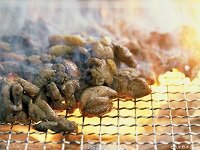 Although these shichirin grills are usually smaller, some people prefer the distinct flavor the burning coal gives the meat. 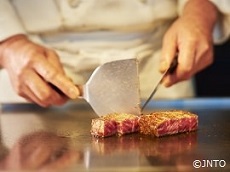 Different types of meat are cooked including beef, pork, and chicken. Seafood such as shrimp and vegetables are also often available. Some places may also offer lamb. 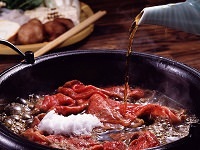 Horumon and motsu are also common options at Japanese yakiniku restaurants. It includes parts of tripe, livers, intestines, and other gizzards. 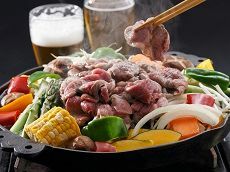 Yakiniku is a popular place for friends, family, and coworkers to enjoy a cup of beer with your meal in great company. 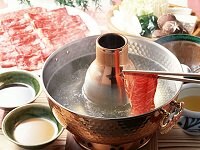 While Yakiniku is sometimes confused with Korean Barbecue, Japan Deluxe Tours recommends visiting a Yakiniku restaurant during your vacation's free day. 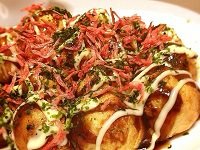 Your tour guide can help you find the perfect restaurant and recommend a few dishes to try during your Japan tour!